Here is a throwback to the old days in Hawaii. 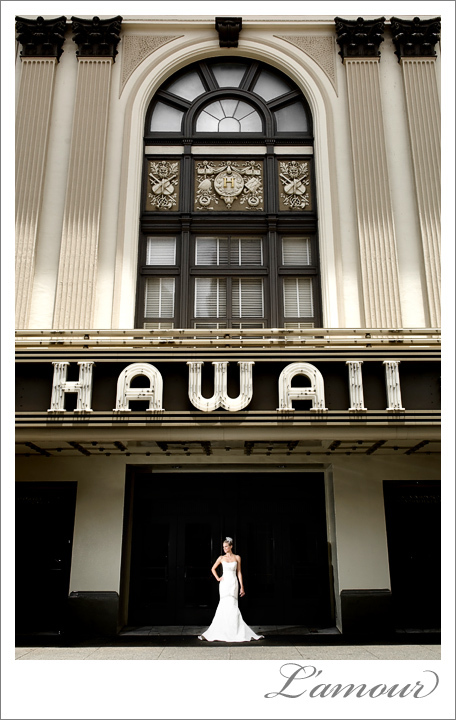 The Hawaii Theater gives a vintage backdrop for this Hawaii wedding bride’s portraits. Our bride looked simply gorgeous in her satin mermaid shape gown with bead and crystal accents from our favorite Hawaii wedding dress store, The Bridal Boutique. Good friends are hard to find. 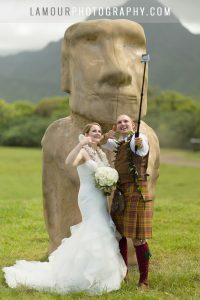 Any couple planning their destination wedding has found out that great wedding vendors can also be just as hard to find. 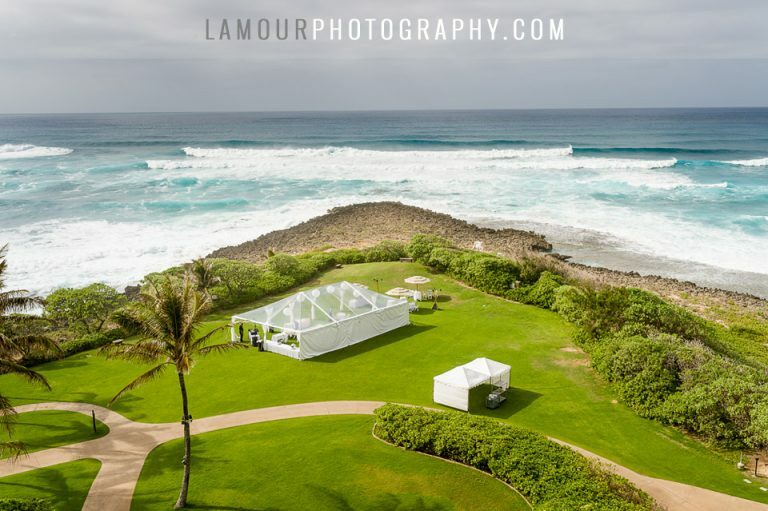 Two of the vendors we have found here in Honolulu Hawaii are a great place to get your wedding dress and bridesmaid dresses and a wonderful hair and makeup team. The Bridal Boutique has brides singing their praises all over Oahu and the Mainland for their awesome customer service and great selection of wedding gowns. The below photo shows a strapless satin wedding dress from the Bridal Boutique with beaded details accenting it’s mermaid shape. Simply elegant! Hair and makeup for this shoot was done by the exceptionally skilled team at Studio W of Honolulu. 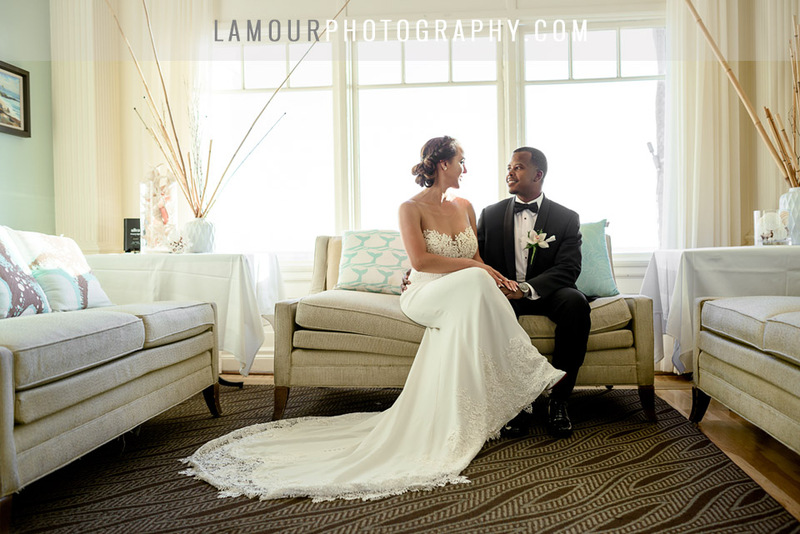 Wendy and Heather have worked magic on one of L’Amour Photography’s own photographers, also named Wendy, on multiple occasions. While we can speak from first hand experience, we have also seen amazing transformations of many of our brides by the team at Studio W.
It is awesome to find both great friends and vendors in one!